In Dragon Bros, from Space Lizard Studio, you take on the role of a teenage dragon - or two teenage dragons in local 2P co-op - as he goes on a robot-blasting journey to rescue your mom and save the world from aliens. 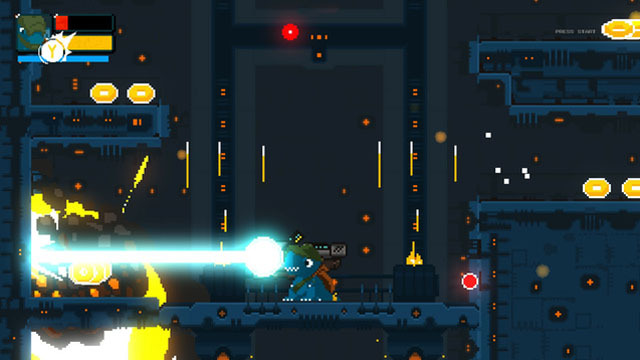 Players have access to pistols, shotguns, machine guns, and giant lasers to take down a variety of enemies and collect scraps that allow them to purchase upgrades to increase their firepower and add secondary effects like bouncing bullets. The game is coming to PC, Mac, and Linux this month. A playable demo is available via Dropbox.